Tricks to Extend Your Samsung Galaxy S6 Battery Life. Just like with any other mobile device that runs on rechargeable battery, your Samsung Galaxy S6 is due to facing battery life problem as you use and runs some high end application like Wifi, Gaming etc. 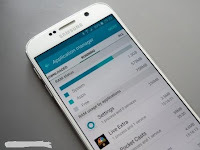 Do you want to boost or increase the battery life of your Galaxy S6? 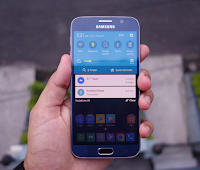 In this post I will teach you 5 tricks to boost or increase the battery life of your Galaxy S6. Samsung Galaxy S6 is one of the latest Smartphone being loved by many people. However, the battery is running out due to the auto enabling of certain features. In other to overcome your battery issue, I have gathered the top simple 5 tactics which will definitely help you to save battery life of your Samsung Galaxy S6. This is a trick which must be quiet common for many of you and I would also recommend you to enable this feature for your Samsung Galaxy S6. When you’ll enable it for your phone then it will automatically adjust the settings of your phone which will ultimately help you to save the battery life of your phone. Go to Settings >> Battery >> Now tap on Ultra Battery Saving Mode. You need to go to Settings >> WiFi >>More and then tap on Smart Network and Switch it Off. Samsung Galaxy S6 comes up with certain kind of apps which are being pre installed there. If you don’t like those apps then to disable them would be a sensible move. As if you will not disable those apps then it would keep on updating those app and we all know that such updates will consume battery life. That is why I am suggesting you to disable those apps from your side if you are not using them. You simply need to search out for those apps, which would be around 15 apps, and then disable them if you don’t want them for your phone. The last trick which you need to apply and can easily save the battery life of your newly bought Samsung Galaxy S6 is by disabling all extra features of your phone. The extra features may be Bluetooth, WiFi, Radio, Extra Gestures and other useless features which you are not using for time being. If you are not using these features and still they are enabled then it start consuming or keep searching for related mean which will cause the battery consumption for sure and will drain out the battery of your phone for sure. So, I would recommend you to keep those features off if you are not using them. Note: The above listed tricks if applied on your Galaxy S6 or any other mobile device, tends to increases your device battery life span. In my subsequent post, I will share with you more important tricks to Extend Your Samsung Galaxy S6 Battery Life, including others mobile phones, which you can’t do without. So, SUBSCRIBE to this blog now if you don't want to miss them, even if I post them here, when you are not online.